The company is pleased to invite you to the IPACK IMA 2018 exhibition. 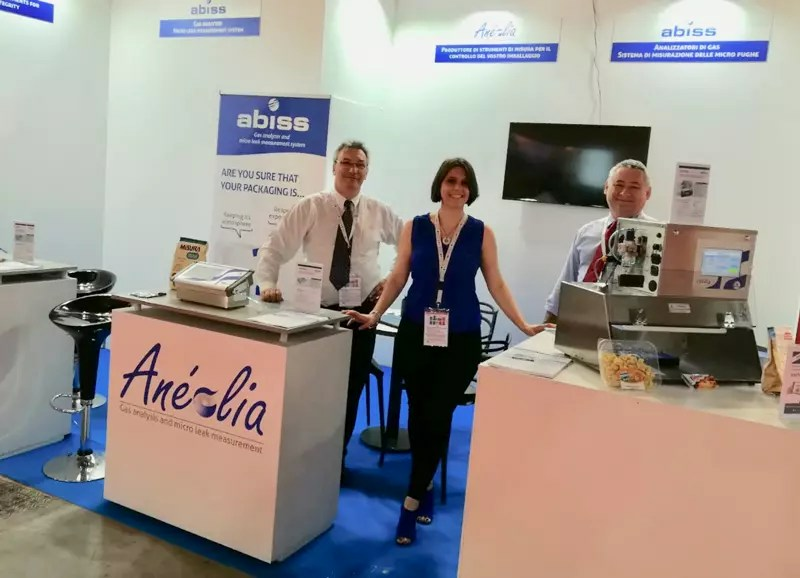 Anéolia is a French manufacturer of analyzers for packaging integrity. – Meet our experts: with over 25 years of experience, they advise you in the progress of your project for the quality control of your packaging. – Free tests (by appointment only): gas analysis and leak measurement within a single system for your packaging under MAP or empty or in box. The tests are performed with our EXOS or OXYLOS devices. Interested but not available between May 29th and June 1st? Contact us by email!